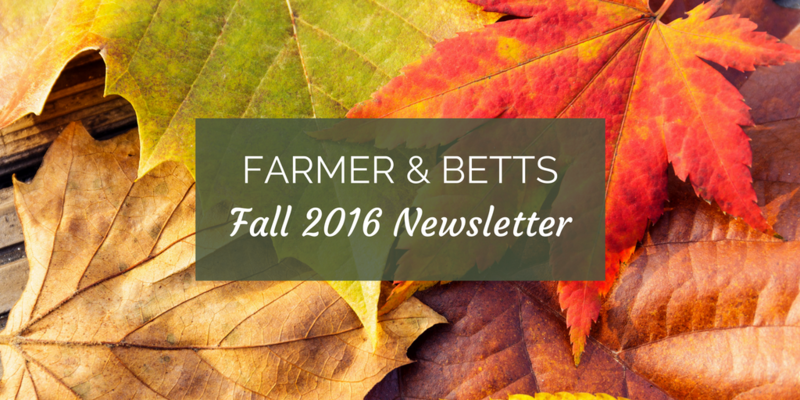 Farmer & Betts Fall 2016 Newsletter | Farmer & Betts, Inc. Thanks for being a part of the Farmer & Betts family. Our company consistently focuses on the quality and value of our service, and we are grateful for the many advisors and accountants who have entrusted us with their clients. Our local consultants are strategically placed to service our 1,700 plans. We have offices in California, Colorado, Florida, Georgia, Kansas, Missouri, Oregon, & Washington. 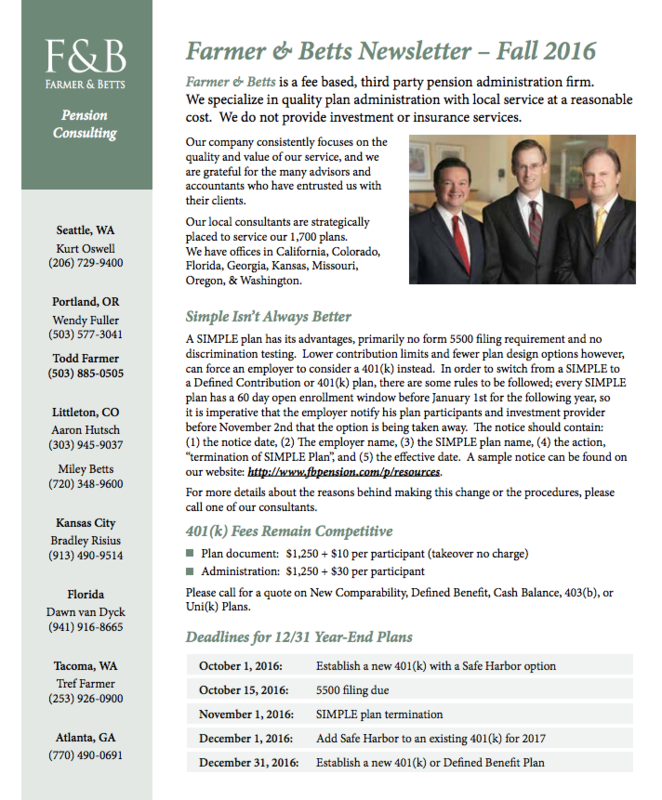 Download the Fall 2016 Newsletter here!